Playful, moving portrait of Raymond Briggs, told through interviews with Raymond, animation illustrated by Chris Riddell, and contributions from friends and admirers. Forty years ago Raymond Briggs used a pot of coloured pencils to create The Snowman, a wordless book of illustrations which would inspire the film enjoyed by millions of British households every Christmas. His timeless story of the friendship between a young boy and a Snowman continues to delight generation after generation with its effortless blend of warmth, humour and sadness. After creating an instant classic with The Snowman, Briggs disturbed a generation with his anti-nuclear story When the Wind Blows, enthralled kids and adults alike with Fungus the Bogeyman and Father Christmas and, in recent years, moved readers to tears with Ethel & Ernest, a touching account of his parents' life story. 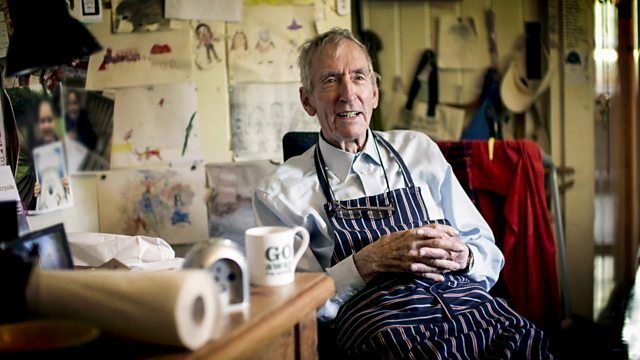 Raymond Briggs has been celebrating the ordinary and making it extraordinary for five decades. And the characters he has created have been both popular and influential. As Nick Park says in the film, he couldn't imagine Wallace and Gromit without the experience of reading Briggs's books. This playful, moving and often emotional portrait is told through interviews with Raymond, specially commissioned animation illustrated by Chris Riddell, and contributions from friends, colleagues and admirers, including Andy Serkis, Nick Park, Steve Bell and Posy Simmonds. Is there anything more Christmassy than the Snowman? Raymond Briggs does something rather unusual to support the milk trade. The emotional depth behind the classic tales.